From all the differences among the cultures of the world, cuisines are the one thing that bypasses all boundaries. Everyone tries various cuisines and love them, and the Italian food is a world class cuisine that no one can turn away! Italian food focuses more on extracting the most essence of each ingredient, instead of the spices, and is hence very tasteful. 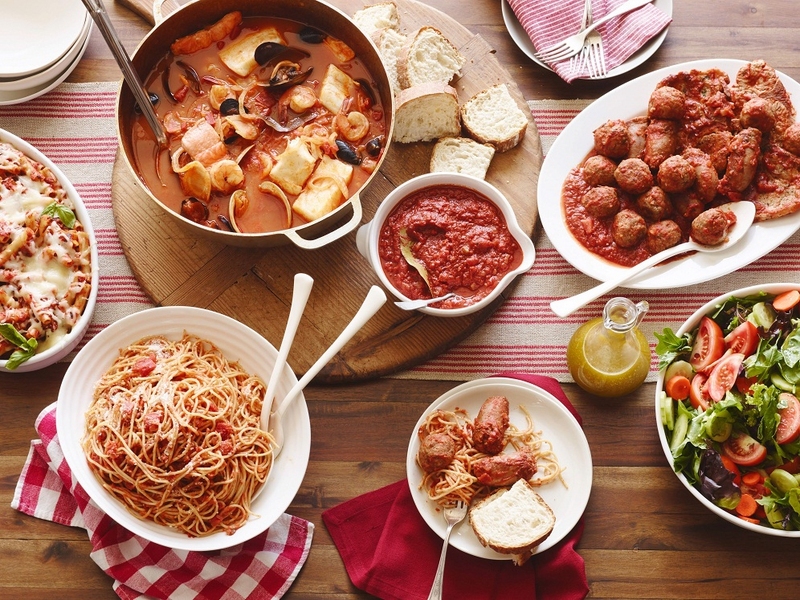 These Italian food quotes are surely going to make your mouth water. I believe really no true food-lover can turn down Italian food...I'd have pasta even in my dreams. Italian food is a culture, not just a cuisine. Pasta is one of the best things Italians have given to the world. I would party every night at home if my mother cooked Italian food. It's simple, and simply beautiful. Despite its difficult-to-pronounce name for a non-native, it sounds absolutely tempting. The mozzarella cheese...it's stretchy threads - Oh, heavenly! The cuisine is much more than just pizza. The roots of your culture stay with you no matter where you are. Like mother like daughter. Isn't pasta just so lovely? I wish I could say that, too. Food, especially Italian food, looks great even when being prepared, let alone when it's ready to eat! I'm happy to know that Italian food has widened in variety over the years. Because these cuisines are that good, I tell ya! Add this to the list of reasons why I love Italian food. The ingredients, the aroma, the colors...it surely is 'soulful'. If you can't go to Italy, bring Italy to you in your dinner plate. Who wouldn't agree with that? Indian food is as good as Italian. Making food together can really help people trust and depend on each other. It makes them a good team. Food can make anything better, especially when the food is Italian. Neither have I ever. What about you? What else can you want from life? I deem every food-lover out there would tend to have similar feelings. What have been proven in these Italian food quotes is the unforgettable taste of Italian food. Ask any food-lover, they'd tell you this, too.